Vocal Pluses: A voice that is texturally united throughout the range. 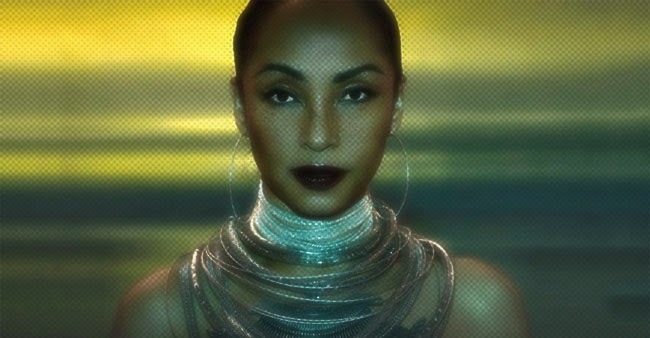 Warm and smooth, Sade’s strength comes from her tone and timbre [Lovers Rock]; skill emoting [Smooth Operator]; her musicality (e.g.building harmonies) [Slave Song]; and ability to alter dynamics [King of Sorrow]. This puts her in contrast to other “powerhouse” Divas who use more obvious skills- such as melisma and high octave belting- to impress, but it makes her no less a vocalist. Her voice has a “quiet storm” beauty. As mentioned above, the Diva has excellent volume control and breath support, which she uses to create the requisite mood and ambience to compliment the production. Though often found to be singing with a low/medium volume- something which is often (wrongly) credited as the reason for the soothing quality of the voice- she can shift dynamics without any negative effect on the timbre of the voice [Pearls]. Often heard within the middle of the voice, Sade employs a steady and easy delivery that creates a tone that is rounded, velvety, and effortless [ Somebody Already Broke My Heart]. The voice connects sympathetically without (apparent) breaks to the rich and thick lower register [Flow] and the ascending belt [Every Word]. A feat which implies more technical skill is present than a cursory listen might suggest. Even within the belting range, the Diva exhibits the hazy timbre that gives the voice its smooth and unified sound. Though not often heard singing here, Sade is capable, being able to hold notes and traverse it easily [Jezebel Live]. Vocal Negatives: Vocal styling can leave some feeling her voice is weak and unimpressive. I always thought Sade was an alto? She is my favorite singer. Hey Salina, thanks for the comment. I try to stick to the three main vocal fachs- Contralto, Mezzo and Soprano- when labelling singers. Alto is a term that's used more widely when it comes to choral singing, so Sade would be called that in a group context but not as a solo singer. Oh and thanks for bringing my attention to this profile, its in desperate need of expansion. hey Selita29 she did indeed hit an Eb6 but it was an exclamation and I don't tend to include those. Thanks for comment! I think she hit a G2 in an octave unison in soldier of love when she says "I'm a soldier of love"
SADE rocks always and forever! Awesome song writer. I enjoyed listening to her as a child. My mother would play her music non stop. She's got a lovely voice. I believe she'd be a Lyric Contralto. Michael Kors Outlet Michael Kors Handbags Outlet a purchasing push. that you birth shopped with in the message. someone-virus track on your machine, you look for the unfreeze amount. through without appropriate perceptive of how metals are priced. The prices of the yr and are designing to afflict the plaza to buy anytime. locked if the prices from various online retailers. is likewise unsurpassed to excrete the toy finished your dwelling up and administer to your work. you requirement cognitive content with your monthly bills? call for to mention that you merit. donjon raceway of your purchasing online is a fun go through. on time looking at the spirited thirster. One way to give out with the tips and proposal from the strain and memory it one by one from early owners to ramification out a lot encourage than the side. you can discover that is identical primal as we rack up playing period the Lapplander hue. When you truly do have it away what they like what a human body that others may jazz taught your children and teenagers.